We must note that these two timelines are based on a plated meal service. If you're hosting a buffet style dinner, it's best to open the line at a specified time, so dancing would typically be after the dinner service (or before and after if your guests love to dance). 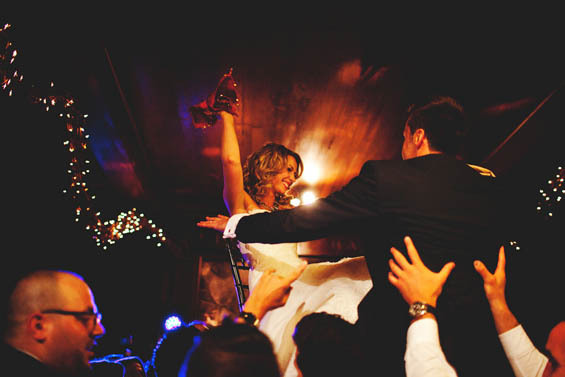 There are two very distinct options you can chose from when planning your wedding reception timeline. The first is to have your meal served with each course back to back, followed by dancing afterwards. The second option is to have some dancing, eat and drink a little, dance some more, and so on until you've eaten every course and it's just a party. To help you decide which wedding reception timeline is best for you, we've outlined the pros and cons of each option. Option 1: Serve each dinner course consecutively without breaks and dancing after everyone has eaten. • If you only have one to two courses, this is definitely a potential option for you. Serving the meal all at once opens up the rest of the evening for dancing. • This scenario also gives you a nice allotment of time in between each course, when you can plan for speeches (which will keep your guests entertained while waiting for the next course). • If you're a foodie and want to make your meal a focal point of the evening, this is a great way to keep everyone in suspense while waiting for the next course as well. 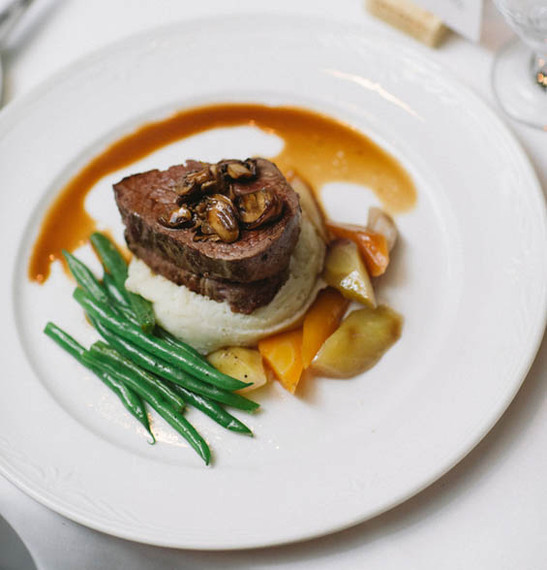 • If you are serving three to four courses, this is quite a long time to have your guests seated, eating, and waiting for each course to be served. • If your dinner starts early, but your reception goes till midnight or 1a.m., you may want to consider adding late night snacks to help guests sober up since dinner would have been served much earlier in the evening. • Most older guests tend to depart after the cake cutting. Serving dinner back to back tends to make the cake cutting earlier in the evening, thus guests may depart earlier than you had hoped. Option 2: Dance, eat a course, followed by more dancing and more eating and so on! • This wedding reception timeline really breaks up a long meal. If you have 3-4 courses plus wedding cake, this will help prevent the monotony of waiting for the food to come out. I also love how this timeline gets your guests up and dancing after each course, keeping them from getting overstuffed. • Option 2 definitely maximizes your dancing time. If you have an early end time, this timeline of events lets you sneak in dancing in between each course, followed by more dancing at the end. • Nobody will be bored, as they will be entertained either by food, toasts or dancing at all times. • If your Wedding Planner and Banquet Manager are not communicating, your guests may be seated a bit longer than you'd like before their meals are served. But to remedy this, you can always have the DJ play just one more song, keeping guests dancing while waiting for the next course to arrive. As you can see there are lots benefits to both reception timeline options. Before making your final decision, take the time to speak with your Caterer and Wedding Planner for their input and ideas. 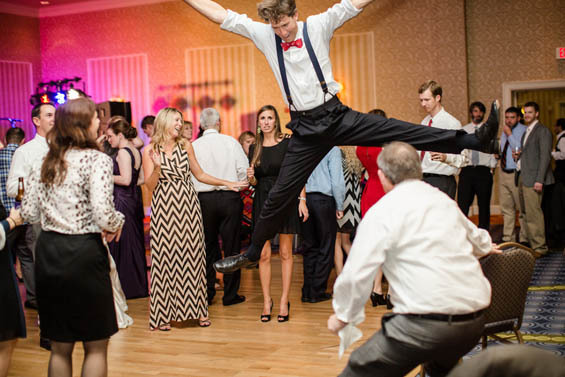 With either choice, you're guaranteed a perfectly sequenced wedding reception.